Today travellers have more options than ever before. More flights, more hotels and more importantly, more ways to experience destinations. Nowhere is this more evident than in Asia, with many areas that were once out-of-bounds to travellers, now opened to showcase to the world. At Wendy Wu, the guided group tours provide worry-free travel to these unique areas of Asia, allowing you more freedom and time to explore Asia’s best kept secrets. So where to next? Well, with Wendy Wu’s finger firmly on the travel pulse, the buzz over Myanmar and Sri Lanka doesn’t look to subside in 2014, nor does excitement surrounding Bhutan, where prosperity is measured by gauging its citizens’ happiness levels. Traditional favourite, Japan, will gain a whole new wave of fans this year since the announcement of Tokyo securing the 2020 Olympics, while new kid on the block, Taiwan, regarded as one of Asia’s most diverse locations, is also predicted to be one of the most popular destinations in Asia for 2014. However, it is Asia’s eternal favourite travel destination, China that will retain its place at the top of the tourist ladder this year. And there’s good reason why travellers just can’t get enough of this wondrous destination. 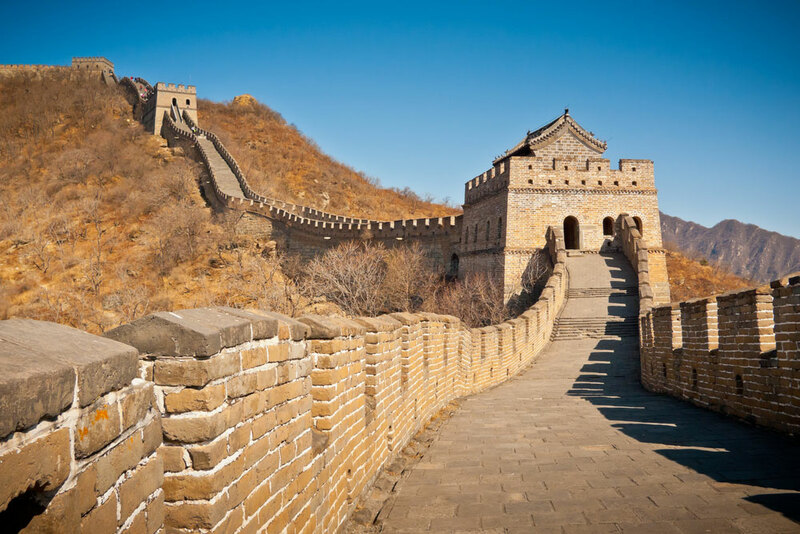 For most travellers exploring China means ticking off many long-held bucket-list experiences, such as delving into the Forbidden City, witnessing an entire army of Terracotta Warriors, and walking proudly along the Great Wall, stretching over 5000km. Another legendary experience that draws travellers from around the globe is getting acquainted with China’s most adorable mascots – pandas, as well the tourist pull of the two ‘big guns’ – the head spinning modernisation of Shanghai and the imperial age of Beijing. Known as the ‘land of abundance’, Sichuan has three sites on the UNESCO World Cultural and World Heritage lists; Nine Villages Valley (Jiuzhaigou), Huanglong Valley and Mt. Emei. The name Jiuzhaigou refers to the nine Tibetan villages that are situated within the valley. Huanglong Valley has some of the most stunning scenery in the world and Mt. Emei is regarded as one of Buddhism’s most sacred and remarkable mountains. The south-western province of Yunnan is not only home to more than half of China’s fascinating ethnic minorities, but also incredibly diverse landscapes. Here you can explore snow-capped mountains, cascading rice terraces, hilltop villages, as well as Lijiang, China’s living museum, which sits at the base of the breathtaking Dragon Snow Mountain, and Zhongdian, famously known as ‘Shangri-La’ and the start of the Tibetan world. Neighboring China and a true bucket-list destination, Tibet provides travellers with unforgettable experiences and is often referred to as the most remarkable place to visit in Asia. Surrounded by the majestic Himalayan Mountains, this is truly a spiritual destination and a place of magic. A highlight for most will be a visit to Mt. Everest Base Camp where you will witness the stunning north face of the world’s tallest mountain peak at 8848 metres. For those in pursuit of an adventure, the Silk Road provides endless opportunities to explore the natural and historical diversity of China. In 1996 Wendy Wu Tours were the first company in Australia to venture along the original Silk Road, overland between Turpan and Kashgar. The Silk Road trading route was the world’s first super-highway, a 4500km series of desert and mountain crossings. Almost 2000 years before being named, this route was first travelled by emissaries of the Han Dynasty. This is a remarkable journey follows in the footsteps of Marco Polo and Genghis Khan and is sure to provide you with memories to last a lifetime.